BitAeon is supposed to be an investment platform that combines a digital exchange, forex trading, P2P lending, bitcoin mining and investing in startups. All these things combined allegedly generate returns on investments 3% per business day and 1.5% on weekdays. It means about 70% per month. Is this real? We could publish a warning and explain that any program offering 70% per month is a scam and it would be true and accurate. But people don’t search for this kind of things, they look for reviews of each investment program of this kind, even though they all are scams of the same kind. So here we are, we can only repeat that 70% per month is impossible to achieve in any legit business. 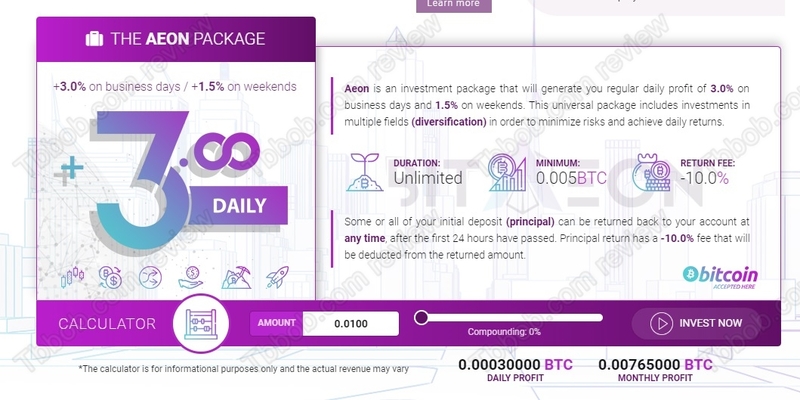 Bit Aeon is not a legit business, it is a scam. It was designed as a Ponzi scheme, but it might not pay anything at all, not even the first profits. 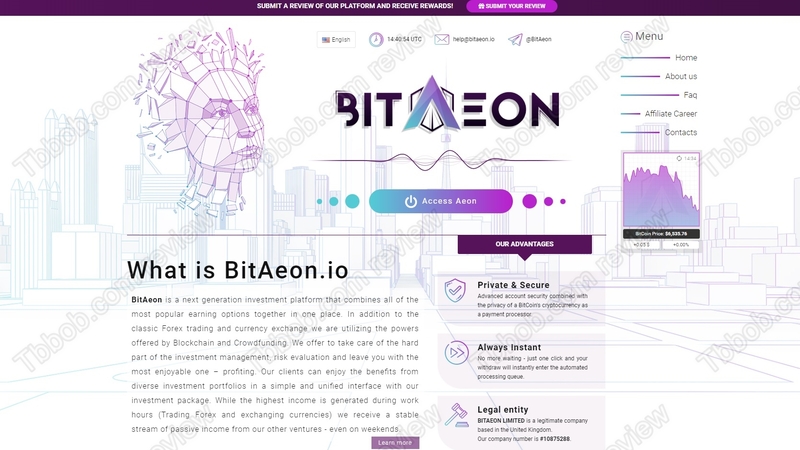 BitAeon is registered in the UK, but as you can see on our picture, it was just registered last year and since then it is not fulfilling its duties. It’s because it is an empty box, not a real company. It is not authorized by the FCA, it is not regulated, it is an illegal financial game that you have to avoid. BitAeon is a scam, it is not doing any real business, just playing an illegal financial game that is going to collapse. Stay away from it! If you want to try real investing, start on a free demo with a regulated broker to see risk free how it works. Proceed carefully and learn step by step. Only when you have a solid strategy you can start trading with real money.